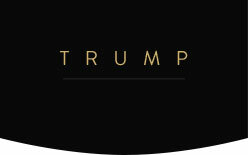 Revolutionarily designed to include one of New York City’s most unique amenity and service collections, Trump Palace offers residents limitless degree of luxury treatments. Ranging from the exclusive white-glove valet, doorman, and concierge services, residents at Trump Palace receive an unrivaled quality of attention and treatment on a daily basis. With the addition of spacious 360 degree balconies and outdoor areas, as well as a world-class health center, parking garage, and garden, Trump Palace houses an amenity collection of a caliber that has become a signature to the Trump brand. Alongside the endless cultural and social amenities of the Upper East Side, which include the Whitney Museum, Guggenheim Museum, Frick Collection, and Central Park Zoo, Trump Palace allots residences reception to New York City’s finest features only a short walk from their front door.